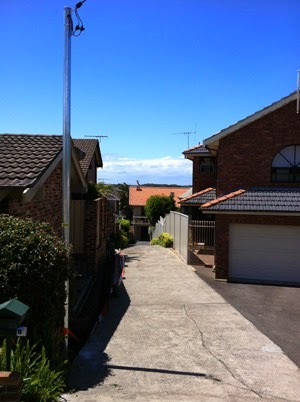 Does your property have power poles within it? A property pole is a pole that is located in your property's frontier, which holds the overhead power lines to your home or other structures within your property. Typically poles are made up of concrete, timber or steel, and they were at first setup on behalf of the property owner. Who is the actual owner of property poles and who is accountable? Property poles could be setup on both commercial as well as residential properties. Typically, the property owner owns the property poles and the power lines between these poles and other structures within the property’s boundary. 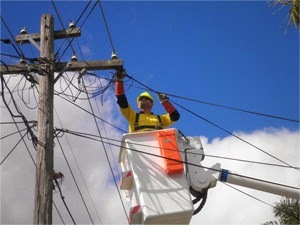 The property owner is accountable for all the ongoing power pole repairs and maintenance. However, poles owned by local power suppliers can be recognised by the power suppliers’ pole number, which is normally positioned 2 to 3 metres above the ground on the side of the poles. How to maintain your property poles? It is imperative to carry out regular checks and maintain property poles for security and safety reasons and help ensure the stability of energy supply. The property owner is responsible to execute these checks and any maintenance work involved. Due to corrosion, termite damage or decay, eventually the pole’s foundation can deteriorate. If this happens, the pole may grow weaker, bend or collapse, and probably cause damage to the adjacent property or might injure people. As a result of the fallen pole, it could bring down the power line that supplies power to your property. It can be lethal - until the pole is replaced fittingly by your electrical contractor, the fallen power lines will not only interrupt the power supply to your home but also it might kill people. How to investigate, what to search for and what you need to do? To ensure there is no sign of termites, decay, rust or other type of damage, regularly carry out inspection around the foundation of the pole. In case, your pole has a cross arm [a structure that is attached near the crest of the pole that holds the power line] - just look at it staying on the ground level and scrutinise if it’s appearing in good condition. Suppose, you find that the pole has got corrosion or pole’s foundation is starting to decay or something is not right with the cross arm or it’s general condition or safety of the pole, you need to contact level 2 electrician near to you and get them to inspect the pole and repair it if required. As far as the safety of the pole is concerned, don’t trust your own judgement. Further to the above, at every 5 years, you need to have the pole examined by your local level 2 electrician.